CASE has revised its skid steer loader line up to grant performance and productivity to an ever wider range of customers. 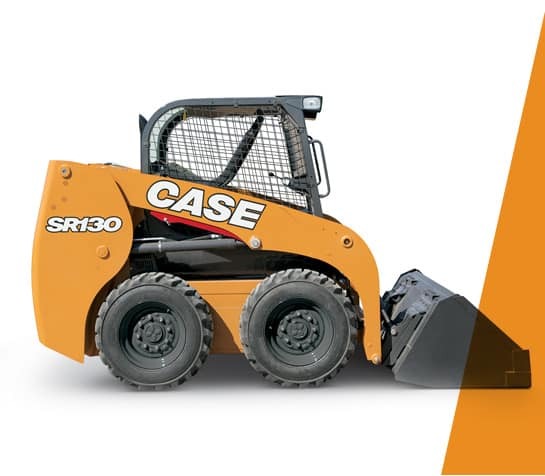 The revised CASE SSL range includes six radial lift skid steers (SR models) and three vertical lift skid steers (SV models). Our power stance chassis rides on a 21% longer wheelbase, delivering greater stability and comfort and allowing increased lifting capabilities, regardless of jobsite conditions. The cylinder geometry optimises the skid steer push and pull power, while the bucket support baring directly on the chassis of the machine further adds to its pushing power. An optional hydraulic attachment coupler increases both operator comfort and uptime on the job site since attachments can be exchanged quickly and safely without leaving the cab. The wide door, repositioned grab handles and a lower threshold provide easy access to the cab. All models have suspension seats and optional air suspension heated seats for the ultimate in comfort. If specified with full cab glazing and door, the cab is completely sealed to reduce the amount of noise and dust. All models benefit from a cab with up to 25% more internal width, providing greatly improved operator comfort. Our cab - the widest in the industry - provides plenty of room for comfortable operation, with greater headroom and legroom, more space between the control levers and easy access to the seat. Standard Proportional control of Auxuliary Hydraulics with detent for smooth and precise attachment control. legroom, more space between the control levers and easy access to the seat.